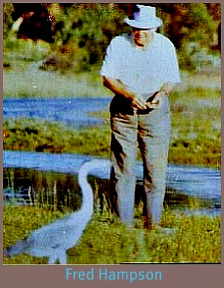 The Sedgefield Hart story begins with Agnes Hart born September 16, 1892. 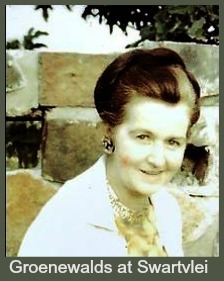 She was one of 13 children (7 were girls but 3 girls and 1 boy died in infancy) born to Joseph and Margaret Hart of Oak Cottage, Mount Road, Rondebosch, Cape Town. 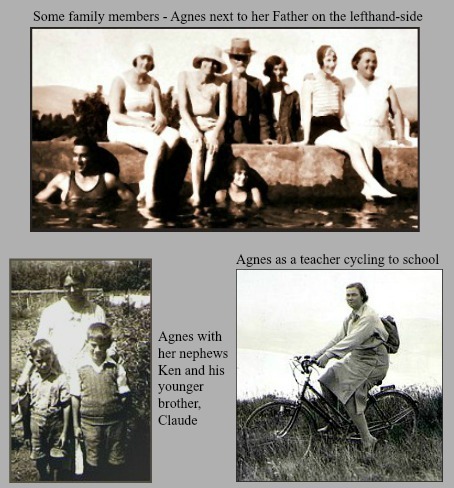 Joseph was grandfather to Claude Hart and his daughter Agnes was therefore Claude’s aunt. Louise Hart, who is telling me the story, said, it was discovered some years ago, that Joseph had stipulated that if any one of his daughters married they would forego their inheritance from him! Only one, Molly disregarded his draconian rule, the other three, Agnes, Gladys and Julia never married. As a spinster in her early 30's, Agnes Hart arrived in Sedgefield in 1924 to take up a post as teacher at the new local school. She later became headmistress. 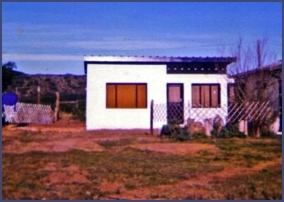 After that she was postmistress for Sedgefield Post Office and she achieved acclaim some years later as the first Station "Mistress" in South Africa after the railway line between George and Knysna was completed in 1928. 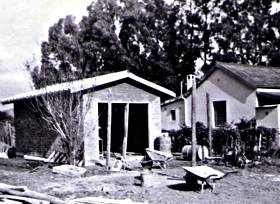 In 1926 Agnes bought the first of 6 adjacent plots and built a house that is still known today as "Sedgefield Cottage". 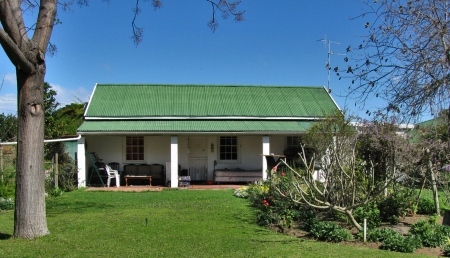 Agnes never married and upon her death in 1968 it was found that she had bequeathed her properties to her nephews and nieces which is how Claude Hart came to own 14 Heron Walk, a piece of prime real estate in Sedgefield. 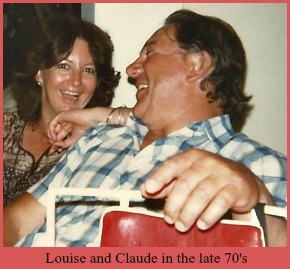 Claude had been divorced for 9 years and had 4 children Michael, Adrian, Colleen and Gary from his first marriage when he met Louise Lochner in 1978. Gary the youngest, a teenager, was the only one still living at home. Louise was 38 years old, a confirmed spinster, enjoying life as a single woman and not interested in marriage. She was working as the Senior Occupational Therapist at the Vista Nova Cerebral Palsy School next to the Red Cross Hospital in Cape Town. A friend, a teacher there, introduced her to Claude Hart. A romance developed but they lived together for four years before he could persuade her to marry him. At that time Claude was in partnership with a friend running an auto-electrical business called All Car Electric. When the partner became seriously ill they mutually agreed to sell the business and as Claude and his eldest son, Michael were both passionate fishermen they decided to create a business they called C & M Fishing. They then enthusiastically built a prototype 56-foot fishing boat called Derek. They obtained licences with quotas to fish for tuna, snoek, chokka (calamari) and silver fish. 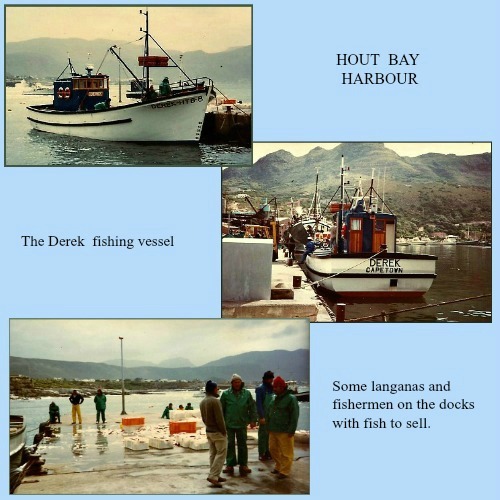 Their fishing venture was successful enough for them to form a company, Seafreeze with a number of other locals in Hout Bay. 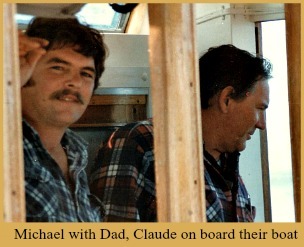 After a while Claude sold the Derek and together with boat builders, he designed a 2nd larger, 65 foot boat, the Orion. It could carry 12 crew on board and became another proto-type for others to follow. Through the company, tuna and chokka was exported, some of the catch sold to wholesalers like I&J and the some to langanas – street sellers who bought fish directly from the boat. 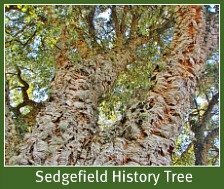 The Sedgefield Hart Story continues….. 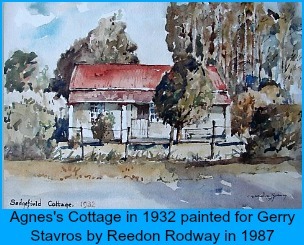 Throughout Claude’s boyhood, he had spent many happy holidays at Aunt Agnes's home with his older brother, Ken so it was a dream come true when he discovered he had inherited a piece of land next to her cottage in Sedgefield. 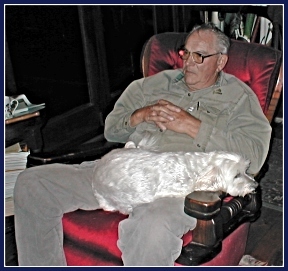 In the late 80’s he sat down with an architect and designed a log home on his property. 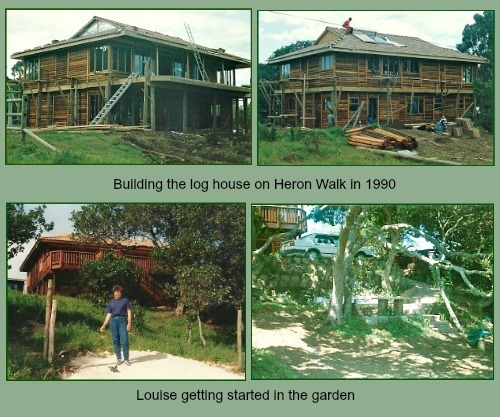 And through 1990 a log house was commissioned, built and completed by T&B Log Homes. 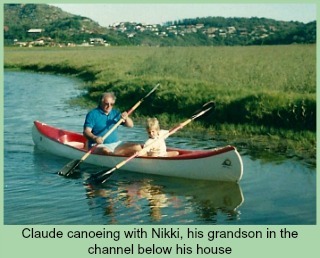 In spite of having a 5 – 10 – 15 year plan connected to moving there, when Claude and Louise came down for a holiday, Claude decided he was not going back to Hout Bay. However, in May 1997 the whole Hart family was devastated when at age 43, Michael prematurely lost his life in a freak fishing accident on Lakenvlei Dam. He fell out of his canoe and couldn't get out of the fishing waders he was wearing and drowned. The 2-man father/son partnership had suffered a great blow. 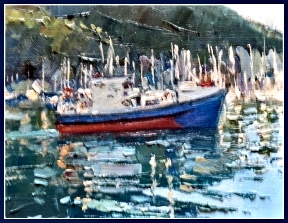 For a while Claude employed a skipper on his boat to maintain his fishing business but eventually he sold it to retire fully. Louise meanwhile had been repping for Roussel Laboratories for 12 years. She had taken a year’s break from work before their holiday in Sedgefield. 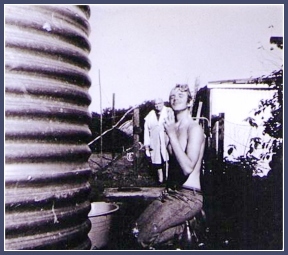 When the holiday became “permanent” she devoted the next year to establishing a garden around their new home. 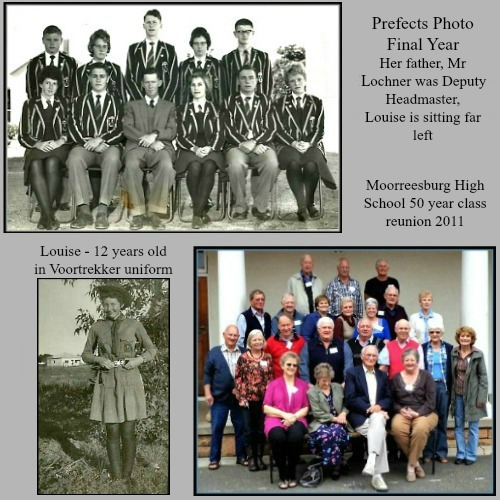 Louise was perfectly comfortable with village life having grown up in the close-knit community of Moorreesburg, a farming town between Malmesbury and Piketburg in the heart of the Cape wheat belt. She began and completed her schooling there and maintains friendships with many of her classmates to this day! She said it was an excellent school with many of its pupils attaining high academic achievements in the classroom and on the sports field. 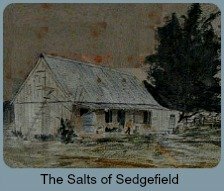 In Sedgefield, all in a row, the Harts' neighbours, the Hampsons, Humphries and other Harts owned houses on similar tracks of land. 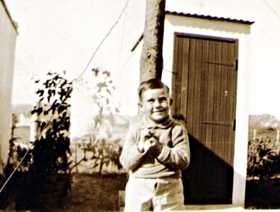 Louise already knew Joyce Hampson (one of the two daughters of Eileen and Fred) whom she had met in Cape Town where Joyce was the matron at the Childrens’ Hospital. 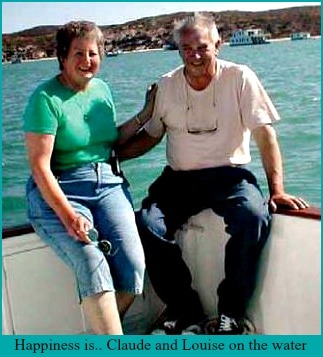 In response to an advert for volunteers to get involved with the Ratepayers Association, Claude made the comment “one of us should get involved but I don’t have the temperament for that” so while Claude indulged in his love for fishing and relaxed into retirement, Louise obliged and volunteered. She was to be actively involved with the Sedgefield Ratepayers Association for the next 20 years. 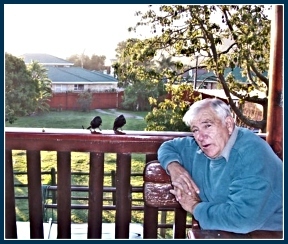 At the first Ratepayers’ AGM Louise attended chairman, Bert Kok stood down and Phil Marais took the reins. She remembers she sat next to well-known personalities, Sidney Press and Alf Widman. Later she served on the committee with determined hard-working members Heather Rietbrook, Ray Barrell, and Terry Cockroft. 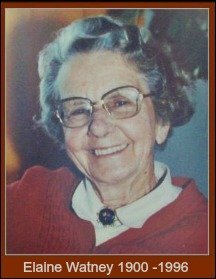 Louise also served on the Sedgemeer Park Committee for many years as a representative from the Municipality. In 2000 Sedgefield Municipality lost its autonomy and was amalgamated with Knysna and our positive bank balance disappeared into Knysna's coffers. Louise was chairperson of the Ratepayers Association for subsequent years and stayed stalwart in the face of cancelled meetings with Knysna Muncipality representatives, multiple excuses and slow responses. 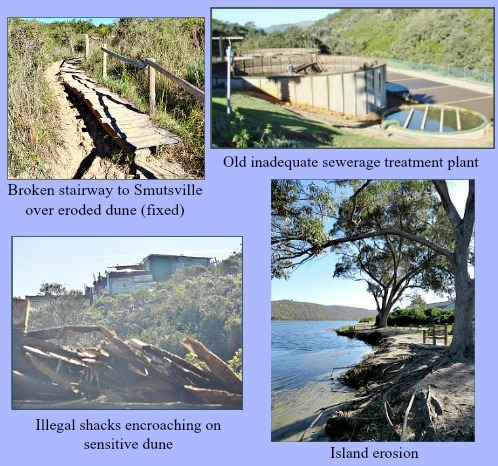 The Association refused to go away even when the disheartened Knysna Ratepayers had given up and dissolved. Sedgefield continued to remind the municipality of our town’s ongoing infrastructure issues such as the outdated and hopelessly inadequate sewerage and water treatment works, impractical planning and late responses to threatened flooding in low lying areas when the mouth was closed, the deterioration of the roads in the village and Smutsville/Sizamile, and the dangerous erosion and destruction of vegetation on the central dune between Smutsville and Meedingsride/Groevallei suburbs. The Municipality made half-hearted attempts to address these concerns but many remain ongoing issues to this day. In 2011 Louise was nominated DA Councillor on the Knysna Mayoral Committee and was Ward 2 representative for Sedgefield. She also was made Chairperson of Planning for Infrastructure and Development and enjoyed her years working with the Aesthetics Committee, Town-planner and architects. In Karatara she was able to organise a much needed new clinic, a building for its senior citizens to have an indoor space for gatherings, a workroom, a kitchen and toilets, a fire department with its own fire-engine and trained volunteers, the existing swimming pool was fixed and the playground repaired. 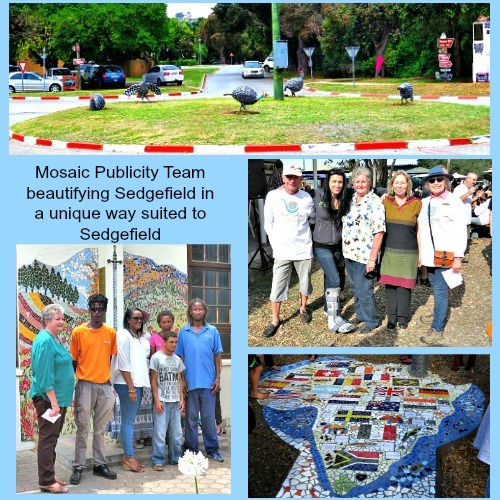 In Sedgefield, more parking bays were created along the Main Service Road, footpaths were paved and working with the tourism office and Masithandane, money was given to support the mosaic employment project. After the new Municipal elections Louise stepped down from public office in 2016. 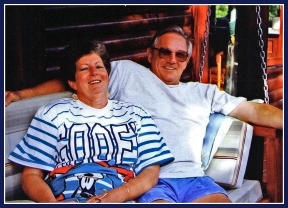 Sadly her lifelong partner Claude passed away on 13 June 2016 and Louise plans to move back to Cape Town within the next year. We salute her for her dedicated service to our town and wish her well – it is the end of an era but not the Sedgefield Hart story as a younger generation of Harts still own property here and will have a presence in the village for time to come. Acknowledgements and grateful thanks to the following: Louise Hart, Gary Hart (and his input on https://www.geni.com), and Louise Hart for family photos.